Turin is a wonderful city, here we want to provide you 10 useful tips for visiting Turin. Also, we would like to let you know that together with the visit you can take Italian Courses at the teacher’s house. You can take an Homestay Italian Program living with an Italian family and take Italian Classes with Silvia, your teacher. You can choose a schedule that better suits to your needs and visit the city and its surroundings. Cooking classes are available. TURIN is a very nice city between the Alps and the hills. Standing from an high point of the city, you can admire the Monviso, one of the highest mountain of the Alps. From this mountain, many say, comes the image of the Paramount Picture. Looking instead toward est, you can see the hills, after the river. Many good wines are produced there and Piedmont is in general one of the most important wine region in Italy. Barbera, Dolcetto, Barolo, Nebbiolo, Gavi, Gattinara, Erbaluce are just some of the most famous wines from Piemonte. But let’s go back to TURIN, here some useful tips. 1) First of all eating by night at the terrace of the Ristorante della Montagna. It is a very good restourant on the MONTE DEI CAPPUCCINI. From there you can have a wonderful view of the city, specially by night. 2) Visiting the CITY CENTER. Our favourite sqaures are Piazza Carlo Alberto, very elegant (good tip for eating a pizza there: Sfation Cafè), and Piazza Vittorio, one of the biggest in Italy. Piazza Vittorio is just before the river and one of the most nice place for taking an “aperitivo“. Don’t forget to visit the Mole Antonelliana, you can see it here above. The Mole recall the shape of Monviso and it is the highst builiding od the city. Inside the Mole the famous Museum of the Cinema. 3) Going up to the SUPERGA HILL taking the “cremagliera”. This is an old train that brings you up. There you can visit the Basilica of Superga that you can admire looking up from the city, and eat in a very “piemontese” restaurant, the Bel Deuit. 4) Visiting the HOLY SHROUD. It is shown every 10 years and this year (2015) exceptionally until June 24. 5) Visiting the LANGHE, outside Turin. It is the reagion of the hills and of the wines where also the Slow Food movement was born. Visit some good winery there. 6) Eating CHOCOLATE: Turin and Piedmont are also famouse for the chocolate because of a large production of nuts. Don’t miss to eat gianduiotti and to test some chocolate in one of the oldest “Cioccolaterie” (houses of chocolate) of the city. The most famous ones are Peyrano and Gobino. 7) Visiting the big MARKET OF PORTA PALAZZO. It is wonderful for the variety of people that sell food there. Wonderful also because you can find, just a bit hide, a small but great market of local producers. In that market you find some good local cheese. – The International Book Fear (Salone internazionale del libro). There you can find the Italian Publishers and and join to many conferences with authors and journalists. – Terra Madre, an event promoted by Slow Food. It is about the food in general and the environment preservation. Conferences and local producers from all over the world characterize this event. It takes place every two years. – The Turin Film Festival, the The Torino Gay and Lesbian Film Festival, The Environmental Film Festival, The Torino Jazz Festival. 9) The Italian Virtual School Homestay experience. 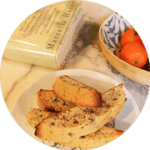 You will have the opportunity to stay at the teacher’s house, to learn Italian and to take some Italian Cooking Sessions. 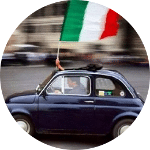 10) Online Italian Courses after your Journey. 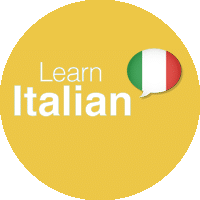 This is a good tip if you want to learn Italian out from the city and enjoy the nature.